Hello! 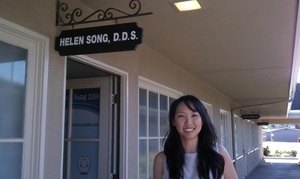 My name is Dr. Helen Song and my practice is here in Riverside, on Brockton Ave. My team and I are dedicated to providing the utmost care for your child's dental needs. We accept Medi-Cal as well as many private insurance policies so that quality children's dental care is affordable. We will do our best to accommodate you in all aspects of your child's dental care. Hope to see you soon!